Ma’akarounah Bel-Bandourah is pasta with tomato meat sauce. 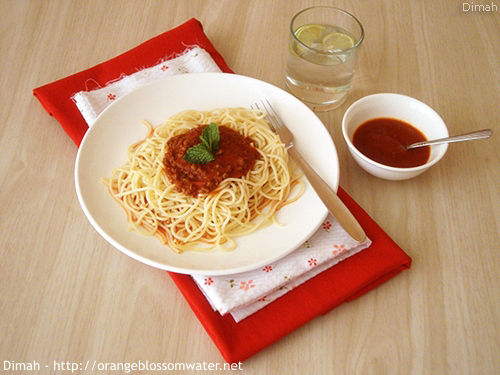 Usually spaghetti is used for making this dish. 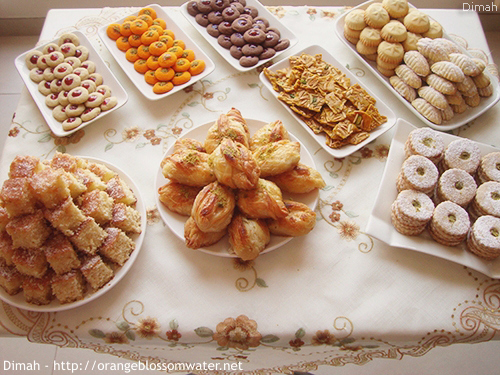 This post is about sweets I prepared for Eid Al-Fitr (The Eid that comes after Ramadan).